Enter now for you chance to win! 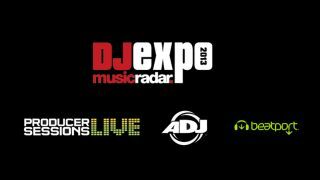 DJ EXPO 2013: To celebrate the DJ Expo 2013, we've teamed up with American DJ, Producer Sessions Live and Beatport to bring you this exclusive competition. Featuring the American Audio 14MXR, two day passes to the Producer Sessions Live and $50 Beatport credit, this is one bundle you'll want to take home. The American Audio 14MXR is a ground breaking 4-channel preamp Midi mixer with built-in 4x4 Sound Card so DJs can play and mix music from their favourite computer software yet still have the hands-on hardware control from a compact 4-channel mixer. DJs can start mixing right away without having to purchase extra equipment. Click here to view the 14MXR product demo video. The UK's premier event for hi-tech music is back for 2013, bringing together intimate tutorial sessions from the biggest names in music production alongside the chance to get hands-on with the latest hi-tech recording gear within a studio environment. Producer Sessions Live 2013 debuts in Manchester at the School of Sound Recording (SSR), and for the third time returns to SAE London in the heart of the City's creative hub, Shoreditch. Hosted by Future Music and Computer Music - the leading technique, technology and software brands for the electronic music industry - 24 sessions will take place featuring world renowned pro producers showcasing how they create their hits, with attendees receiving exclusive access and essential advice. Head over to the Producer Sessions Live website for more info. The official sponsor of DJ Expo 2013, Beatport, the world's largest online music store for DJs, will add *$50 worth of Beatport credits to his/her account. *If you are in the United Kingdom, $50 will be changed to you local currency of Pounds Sterling upon checkout using an exchange rate defined by Beatport.